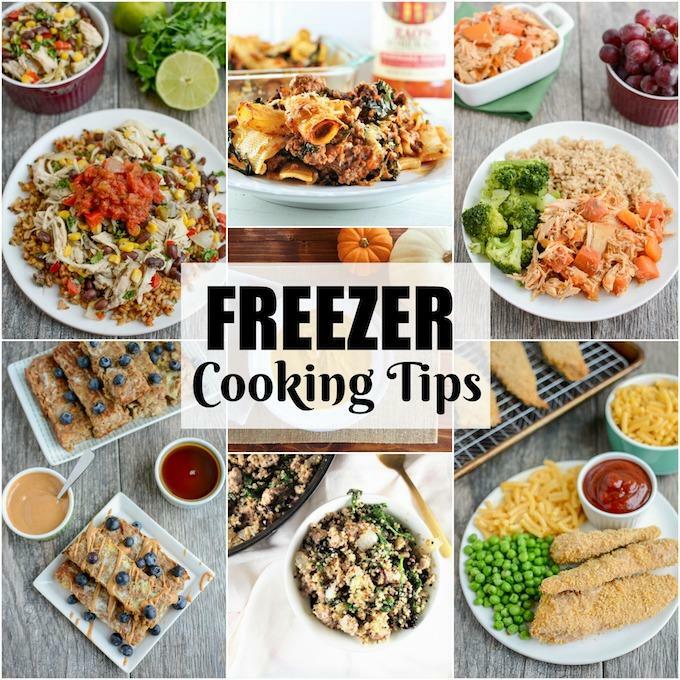 Looking for some Freezer Cooking Tips? These simple ideas from a Registered Dietitian will teach you how to make freezer cooking work for you by saving time and reducing stress during a busy week. Freezer Cooking brings up a number of ideas for different people, but regardless of your previous opinion… keep reading to see how my version of freezer cooking can not only save you time, but also money and stress. Most people I’ve talked to, if they haven’t tried freezer cooking already, say they’re scared about being in the kitchen for “so long” and worry they’ll be so stressed having to prepare so much food. BUT, if done right, freezer cooking actually accomplishes the opposite… you’ll feel less stress the day of, and for the whole month ahead knowing you’ve got dinner already done… every single night! Double and triple check you have all the ingredients you need. Set aside uninterrupted time (no other distractions) for cooking. Prep the meat and vegetables first. Whether you’re just doing some basic meal prepping or a full freezer cooking session, these are often the most time-consuming parts. Once you have these done, everything else goes pretty quickly. Use freezer-friendly disposable containers to store prepped meat and vegetables, and finished recipes once ready to be stored. Prepare the recipes in a logical order… if something needs to bake, get that going first, and work on other recipes while that one is baking in the oven. Have a designated “trash” area on the counter, a common place to rest spoons, wrappers, continers, egg shells, etc. Set aside time to do a totally separate grocery trip for a freezer cooking day. If a recipe calls for canned beans or veggies, look for reduced sodium or no salt added varieties whenever possible and if a recipe calls for them to be drained, also rinse them off before using them in the recipe. When using canned tomato products specifically, try to find preservative-free varieties (without calcium chloride; citric acid is ok) when possible. One nationally known brand available at many stores is Pomi. Freezer Cooking is an excellent meal planning tool. It allows you to spend less time in the kitchen, while still making healthy choices. But if the idea of choosing your own recipes, and building a grocery list seems too time-consuming, my eBook, Freezer Cooking with Milk & Honey Nutrition provides you with step by step instructions for how to prepare 9 different recipes in a matter of hours, ensuring you have dinner and/or lunch prepared for weeks in advance. Once completed, you’ll have 50+ adult meals. Check it out here and use code LEANGREEN for $5 off. Big thanks to Mary Ellen for these tips! I wanted to pop in an add a few of my own thoughts as well. Like she mentioned, my best tip for freezer meals is to pick recipes that can easily be doubled. It’s super easy to prep 2-3 batches of the same recipe all at once and have them on hand. Things like casseroles, soups, burgers and meatballs work especially well for this. Then you can spread them out over the next few months so you don’t get bored with them. Think beyond dinner. A lot of people think only dinners can be prepped for the freezer but my freezer actually tends to full of a lot of breakfast and snack options. I like to make and freeze energy balls, smoothie bags, popsicles, pancakes and waffles, muffins, baked oatmeal and more to have on hand for quick meals and snacks for the kids. 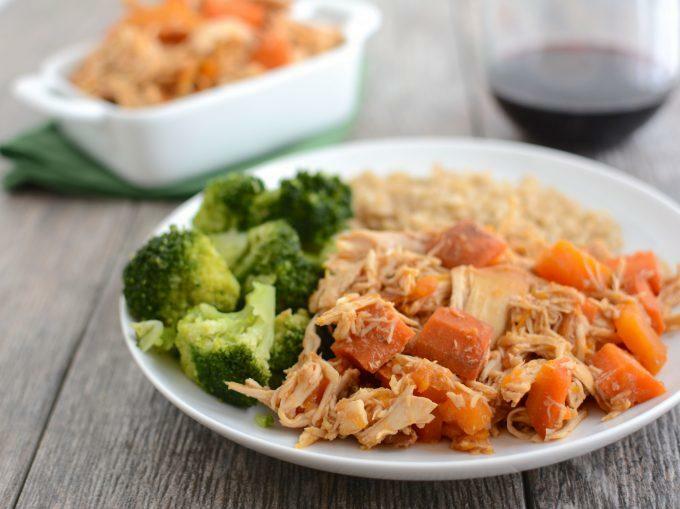 Use your slow cooker! 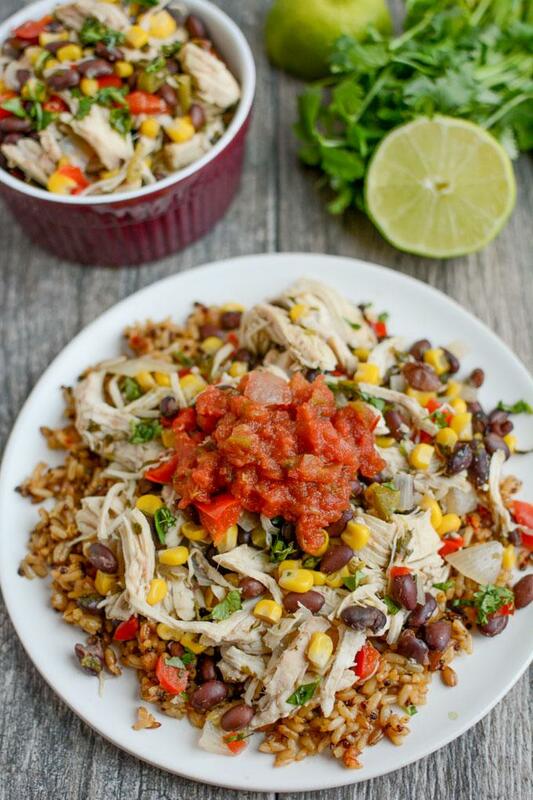 Some of the easiest meals to prep are dump and go crockpot meals. You can just throw everything in a ziploc bag and freeze them. The night before you want to make them, put them in the fridge to thaw and then just dump everything in the slow cooker the morning of. Prep components. It’s super easy to prep a big batch of shredded chicken, pork or beef. Portion it out and freeze. Then you can just pull it out and use it for things like enchiladas, casseroles, soups and more. Same goes for things like rice! Invite a friend. If you’re going to do a big prep day, it might be a fun to invite a friend to prep along with you. Then you can chat the whole time and both end up with a freezer full of food. Make a master list, split it in half and you can each go to the store for half the items. For a few more resources, be sure to check out my friend Regan’s podcast called This Unmillenial Life. She has a whole episode of freezer meals that you may find helpful. 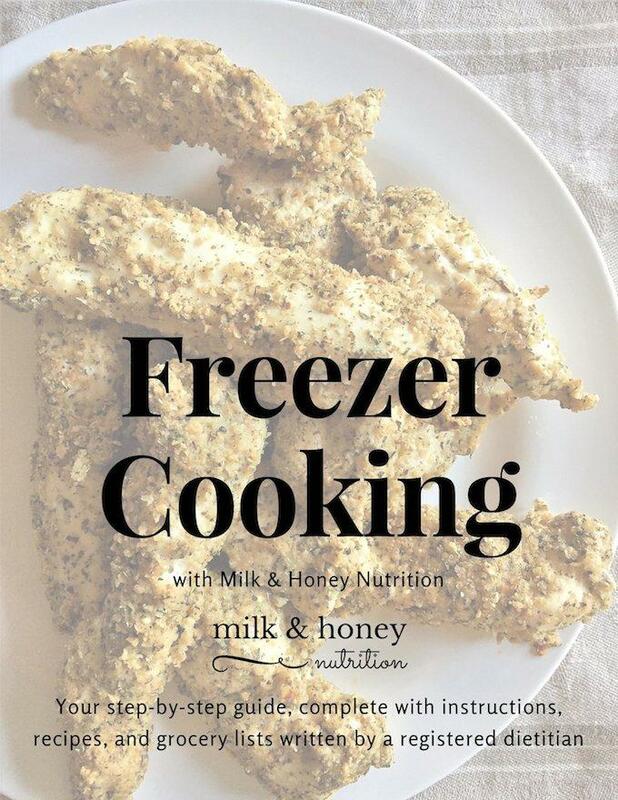 And my friend Kelly over at New Leaf Wellness is another queen of freezer meals with tons of ebooks and blog post full of great freezer recipes. That’s it for today! Hope these Freezer Cooking Tips were helpful! 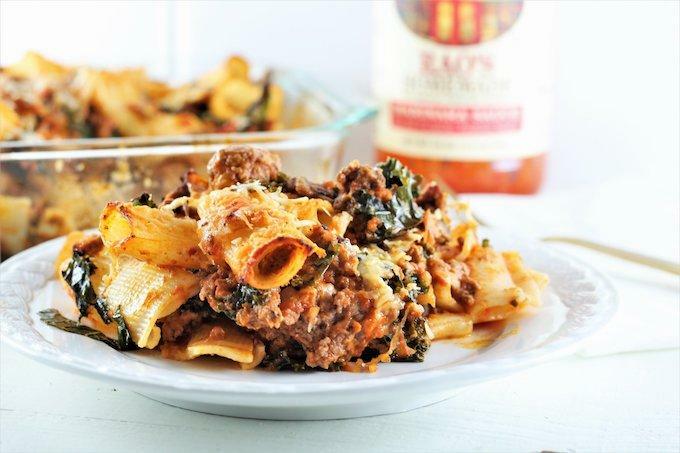 Be sure to check out Mary Ellen’s blog for more great recipe ideas and check out her ebook as well to get started on your freezer meals journey. Have your own freezer cooking tips or favorite recipes? Leave them in the comments!! Having meals prepped is THE BEST! One afternoon of cooking to prep for the whole week (or more), is SO worth it.